Diabetes includes both Type 1 and Type 2 diabetes. Type 1 diabetes (T1D) is an autoimmune disease which causes a person’s pancreas to stop producing insulin. This can strike suddenly and is not related to one’s diet or lifestyle choices. For this type of diabetes there is no cure, however it can be managed with the right tools. Type 2 diabetes is when your body does not product enough insulin or it does not use the insulin that it makes. Signs for Type 1 and Type 2 diabetes vary. As mentioned previously, Type 1 diabetes can occur suddenly and can strike children and adults at any age. Symptoms include extreme thirst, frequent urination, drowsiness, increased appetite, sudden weight loss, sugar in the urine, vision loss, heavy breathing, and unconsciousness. Patients with Type 1 diabetes must manage their blood-sugar levels as they are at a higher risk of having a heart attack, stroke, blindness, kidney disease and amputation. Symptoms for Type 2 diabetes include excessive thirst and hunger, sores or cuts that won’t heal, blurry vision, and frequent urination. 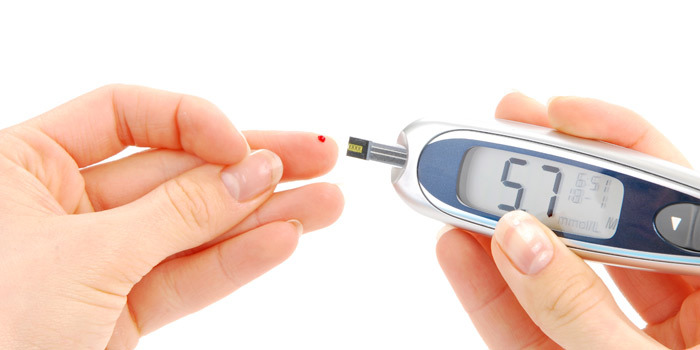 It is important to note that symptoms for both Type 1 and Type 2 diabetes are very similar. Although there is no cure for Type 1 diabetes there are still many ways to manage it. In order to live a healthy life it is important to monitor your blood-sugar levels regularly and deliver proper doses of insulin to yourself. To treat Type 2 diabetes it is important to keep your sugar levels in the target range set by your health care provider. It is recommended to eat healthy meals and snacks, regularly exercise, maintain a healthy body weight, take medication prescribed by your doctor, and manage your stress levels. An endocrinologist can also help you treat your diabetes. This is a trained physician who treatshormone imbalances and educates you about the coping mechanisms for diabetes. Diabetes can affect an individual in a variety of different ways. For example, it may cause vision loss which would then qualify under the vision section. For severe cases an individual would qualify if they are considered as blind, even with the use of corrective lenses or medication. To be considered blind the visual acuity in both eyes must be 20/200 or less (6/60) using the Snellen Chart (or equivalent). Alternatively, they are also considered blind if the greatest diameter of the field of vision in both eyes is 20 degrees or less. If your medical doctor or optometrist has answered ‘yes’ to either scenario, the form will ask you to enter the year when your blindness began and your visual acuity/field after correction. As diabetes may qualify under several disability sections it is important to be aware of all of the sections which include: elimination, feeding, dressing, and performing the mental functions of everyday living. How To Apply for Disability Tax Credit for Diabetes? To apply, our experts will assist you in filling out form T2201 where you will need to get your medical practitioner to complete this form. This will ask your doctor to describe how you are impaired by your disability. It is important to be descriptive in this section as a patient can be affected in a variety of ways by diabetes.